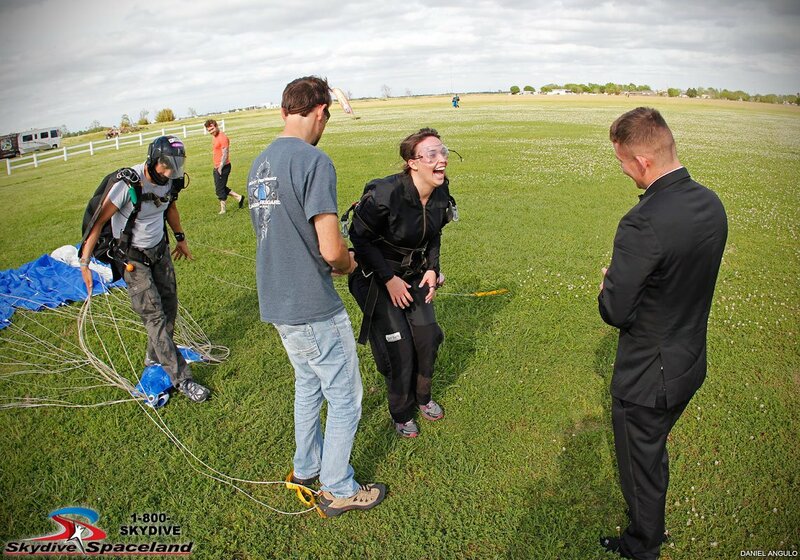 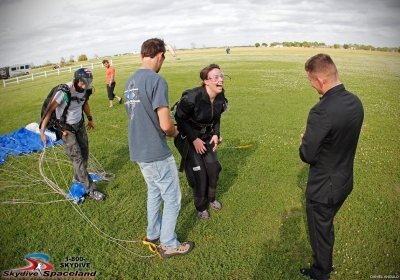 Rosharon, TX, 4/18/14–“Skydiving! 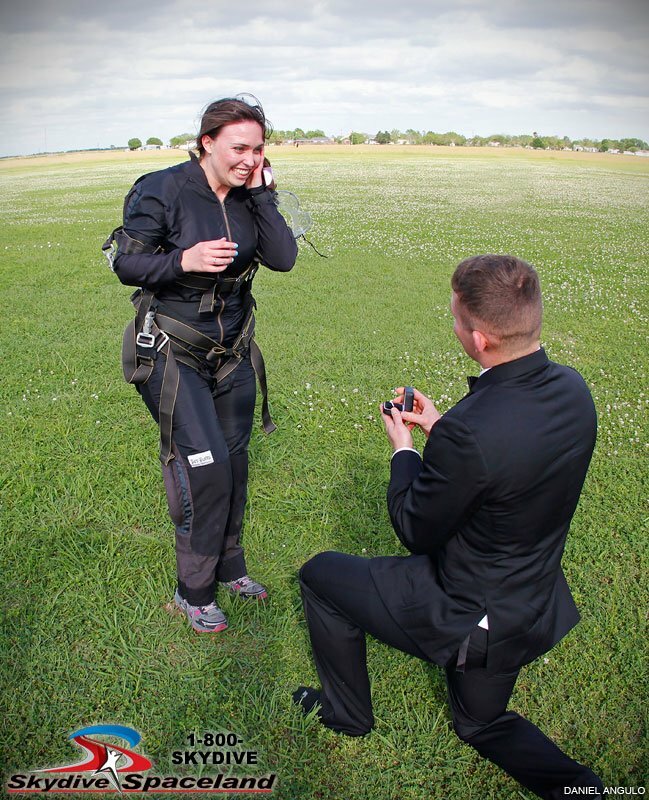 She’ll never suspect that!” So says Houston firefighter Clint Meade of the way he chose to propose marriage to his longtime girlfriend Whitney Greco last weekend at Skydive Spaceland. “I could have asked her at McDonald’s and she’d have said yes, but this was much better,” he said with a grin. 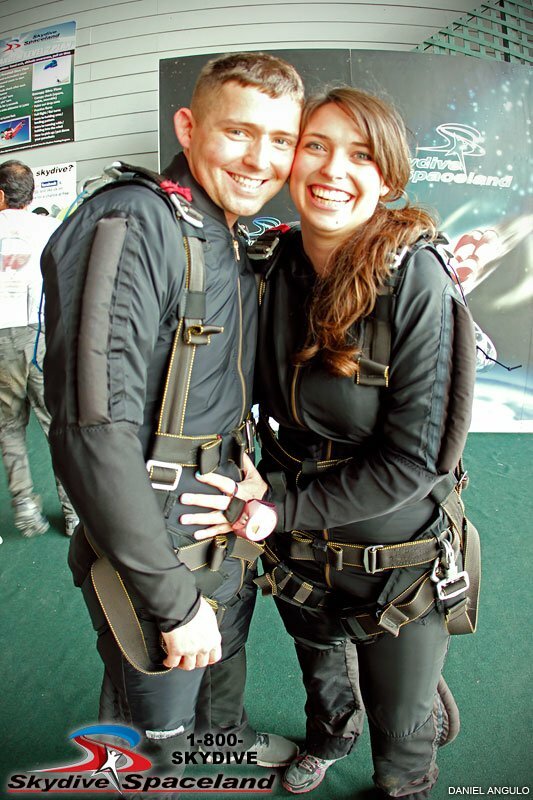 “I was looking for something exciting for us to do together, and we’d already gone tandem skydiving once and loved it,” he explained. 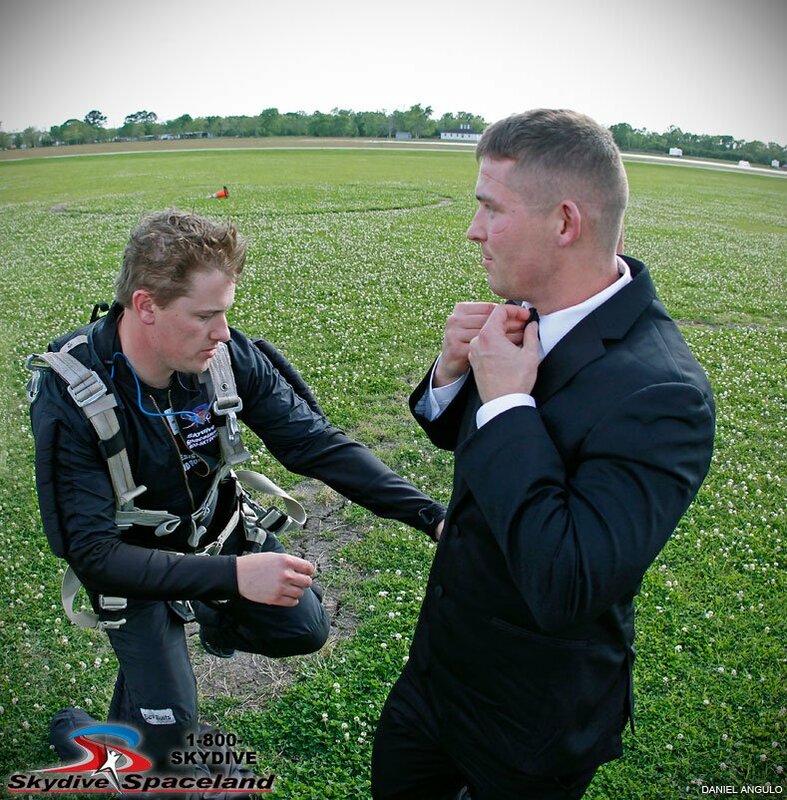 “I woke up that day and said I’m going to wear a tux skydiving like James Bond for the proposal.” He hid the tuxedo under a skydiving jumpsuit so Greco wouldn’t suspect what was going on. 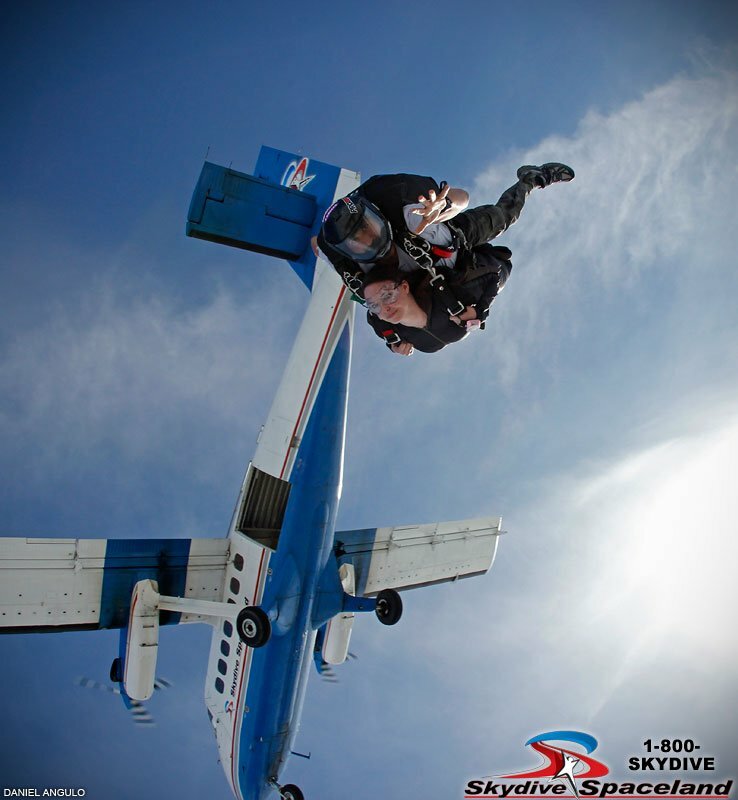 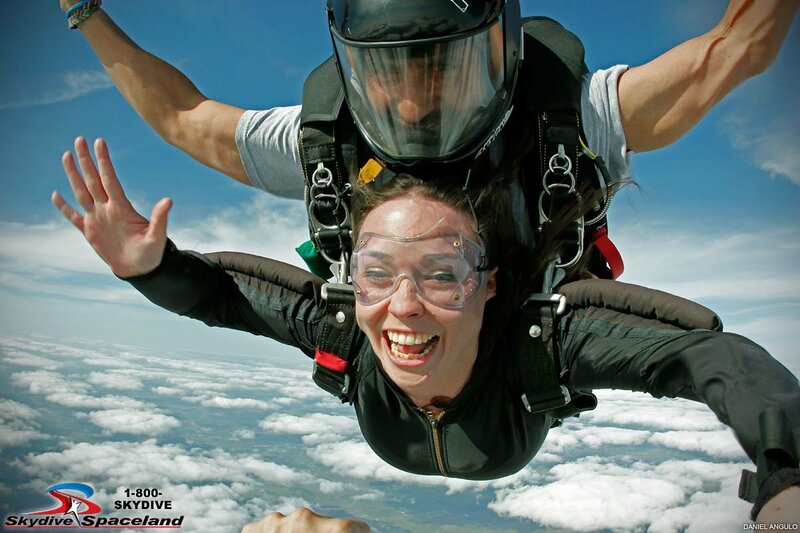 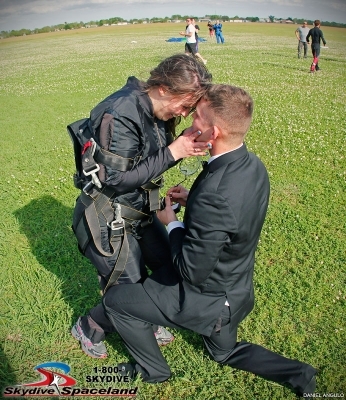 Meade planned everything with the Skydive Spaceland staff for the perfect proposal. A “Will you marry me?” sign was laid out in the landing area after the pair took off, and Clint jumped and landed first, stripped off his skydiving jumpsuit to reveal the tuxedo, and got the ring in hand for the proposal before Whitney and her instructor landed. The couple plans to jump again on Easter Sunday. 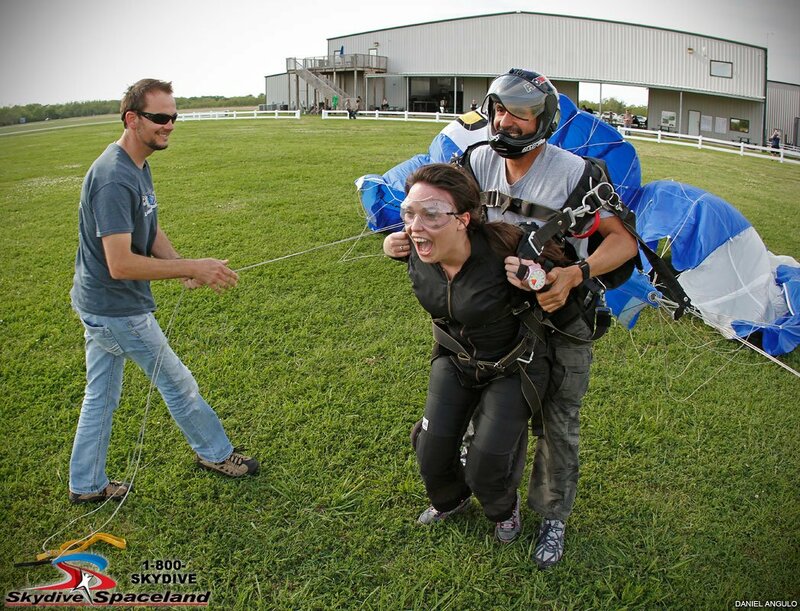 “We’re going to go to church of course, and we figured why not celebrate Jesus and each other by jumping out of a plane again on the same day?” said Meade.